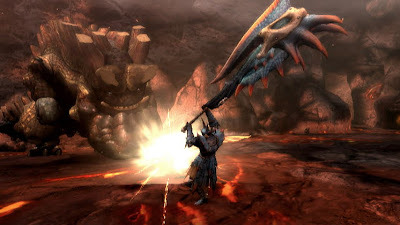 Synopsis: The Monster Hunter franchise has just found its way to the Wii with their recent release of Monster Hunter Tri, which has already been available for a while overseas, but now all of us stateside get our chance to become a hunter. Capcom has provided us with a review copy of the title along with the new Classic Pro controller so that you, our devoted viewers will hear exactly what all this hype is really about. Monster Hunter Tri is an action RPG, where gameplay is based on quests where you, the hunter, kill monsters on land and sea to develop your character and rebuild a small island city. Players have the ability to use the remote and nunchuk, classic remote, or the new classic pro controller along with the ability to save their hunter to the remote so that you can take your hunter with you to play on other Wii consoles. 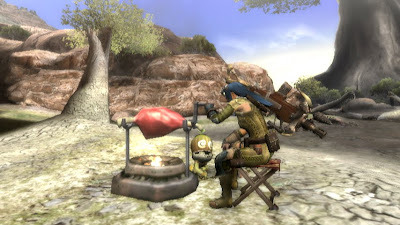 To add to the gameplay, available modes are single player with AI controlled characters named ChaCha, two player coop arena battles, and four player online hunting. Praise: This is not my first experience with the Monster Hunter franchise, however, my experience with the early PSP iterations were rather mediocre in my opinion and hard to get into. It seems Capcom has resolved this issue to newcomers with a user friendly tutorial that is given to the player throughout gameplay rather than an hour of text all at once. 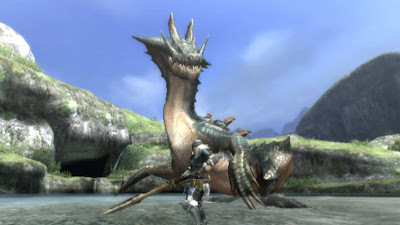 The graphics of the monsters and environments are stunning for the Wii and looks like the developer is really trying to push the console to its limits, also the cinematic are stunning, making me forget that I am playing a game on the Wii, especially with the classic pro controller. Character development is rather in depth from creating your own unique hunter when starting a new game to seeing how armor and weapons change using resources from monsters killed to increase your weapon and armor statistics. 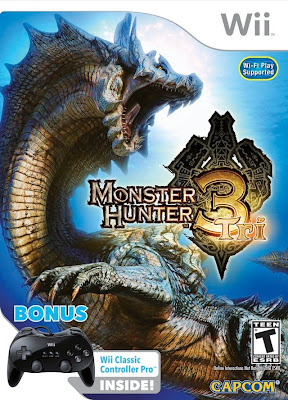 One thing that made me realize Capcom was not messing around in the development of this title was that as the player progresses through the story, not only do the monsters develop and use strategy by hiding and ganging up on your hunter, but also the city you are helping progresses and grows with the resources you provide. Gripes: While this game was not without flaws, there were a few issues encountered shortly after starting the story, how much these issues take away from the experience depends on what you focus on, so here comes what I have encountered after ten plus hours of gameplay. My biggest issue was the control while attacking, as you cannot change the direction of your attack mid combo, so if the monster you are attacking moves; you are then just swinging at air. Depending on the weapon used, this could lead to your unfortunate demise. I have not spent any time with the two player arena battles, but was able to play the four player online hunting and experienced the game freezing once out of the handful of times in which I was online. Lastly, playing this title on an HD television, I noticed that the text was blurry. Though the graphics are great for a Wii, I have heard from others with this title that playing on a standard definition TV does not experience this issue. Overall, fans of the series will like all that this title has to offer and newcomers that are fans of action RPG titles with mass amounts of character development and grinding will feel at home with this title. The ability to save your hunter to your remote will prove to those around you how geek you really are carrying around your remote with you in hopes to get your hunt on the go. Enough of this review, I am now off to get my hunt on until if have to set it aside for my next title to review. Oh and by the way, lots of replay value as you can create multiple characters to master the ten plus weapon classes. Enjoy! Mashbuttons.com gives Monster Hunter Tri a 9 out of 10. 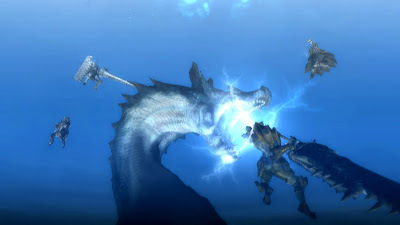 Monster Hunter Tri is available now for the Nintendo Wii.